The Stupid Heart Rhythms project documents and spreads and awareness of the bad and wrong cardiac rhythms ubiquitous in modern day advertising. 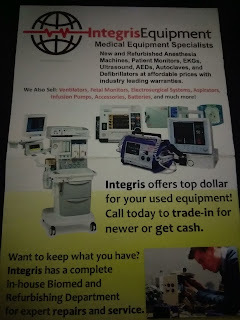 If you are using an EKG to shamelessly pimp your health related cause, you should at least take the time to do it right. Please put this blog out of business. I can't remember if I've posted this one before. I order the supplies at my current job, and as such I get a lot of BS phone calls and letters from salespeople. 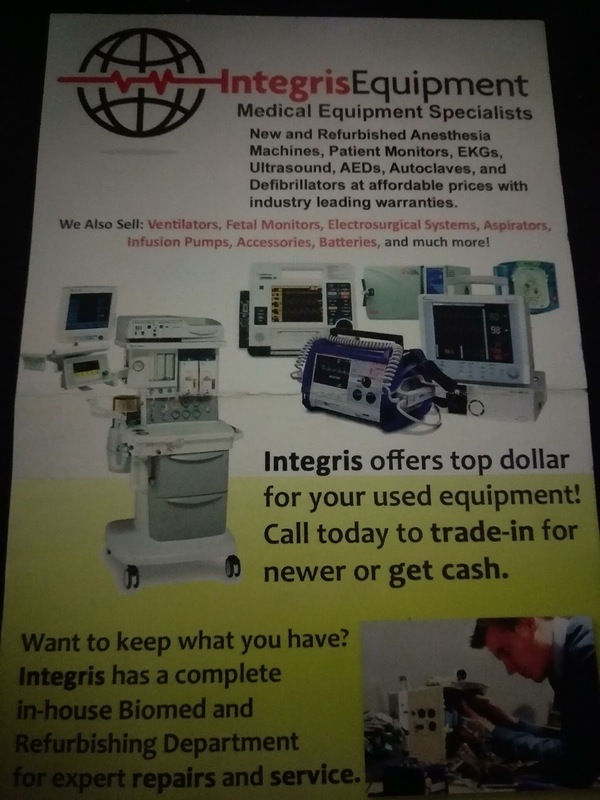 Here's a particularly egregious flier from a company claiming to be medical equipment specialists, but who seemingly don't know what a normal or even abnormal EKG should look like. It's good because then I know who not to buy from. Integris - in the words of Louis C.K.... Ya gone!!! Which Part of My 12 Lead EKG Should I Use for My Tattoo? Notwithstanding the provisions of sections 106 and 106A, the fair use of a copyrighted work, including such use by reproduction in copies or phonorecords or by any other means specified by that section, for purposes such as criticism, comment, news reporting, teaching (including multiple copies for classroom use), scholarship, or research, is not an infringement of copyright.